and “fixed” so that one could study the miracle of reality, his exposures were much too slow. They were too slow to capture that fleeting reality that is man. In 1829 Niépce formed a partnership with Louis Jacques Mandé Daguerre but died in 1833. 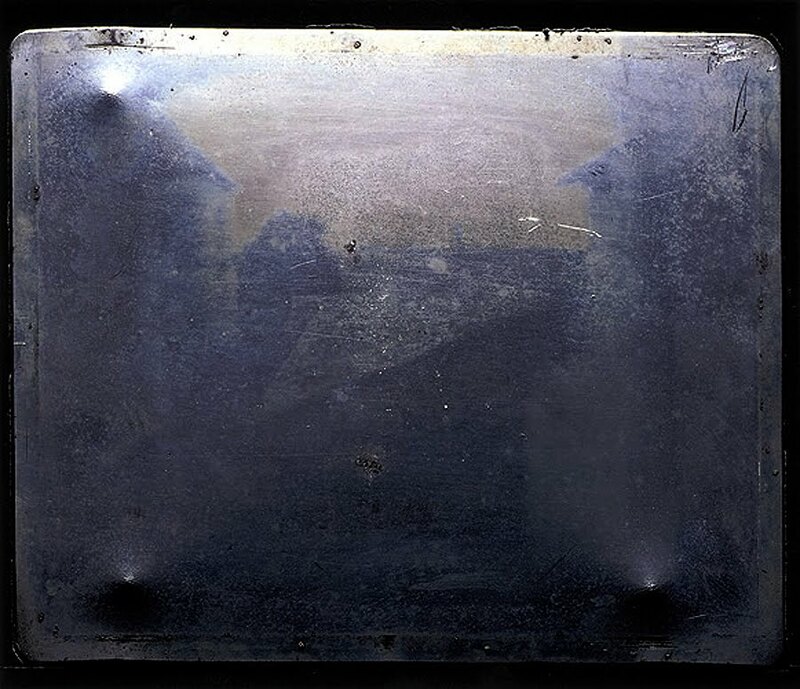 It was Daguerre who ushered in photography with his ultra sharp images on polished silver plates, the Daguerreotype, a process he announced to the world in 1839. 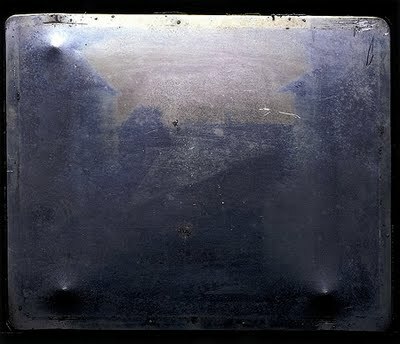 Soon after Daguerreotype mania hit the world. 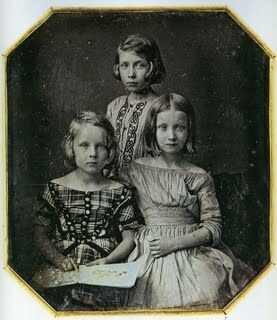 Here you see a portrait of three girs taken in Berlin by Gustav Oehme in 1843. Many today believe that photography in the 19th century was black and white. Few would realize that the b+w photograph was really an invention of the 20th century and that Talbotypes (the original paper negative prints by British photographer Henry Fox Talbot) and most other prints were never black and white. To be correct we would have to call them monochrome. They came in rich earth tones or in cold blues. Some had more than one colour in what today we would define as split toning. 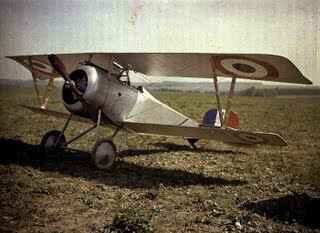 The “modern” black and white photograph with those jet-blacks had to wait until the 20th century. I have always been charmed by what-if? scenarios. One of my favourites is that 1990 collaboration between authors William Gibson and Bruce Sterling, The Difference Engine where real-life early computer inventor Charles Babbage’s Analytical Engine is steam driven to change permanently and irrevocably the framework of Victorian times. In 1903 the Lumière brothers, August Marie and Louis Nicolas patented their Autochrome process which finally showed the world’s reality in a full (interestingly pointillist ) colour which dominated photography well into the 30s when the more practical and easier to use colour negative was developed. What if Les frères Lumière had been born earlier in that century and collaborated with Niépce? 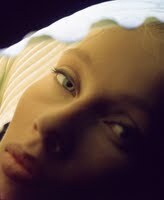 It is my belief that the concept of the b+w art photograph or b+w fine art photograph would be an alien concept today. What makes a b+w print art when the same picture in colour might not be? The tradition of which one came first.